Helpful tips - there's no better way to learn the songs and calls that will enable you to find birds such as Aquatic Warbler, Pygmy Owl, White-backed Woodpecker, warblers, flycatchers etc. Total running time: 1 hour and 17 minutes. 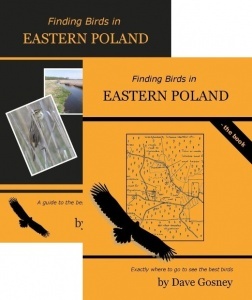 This book gives precise details on how to find the most exciting birds in Poland.